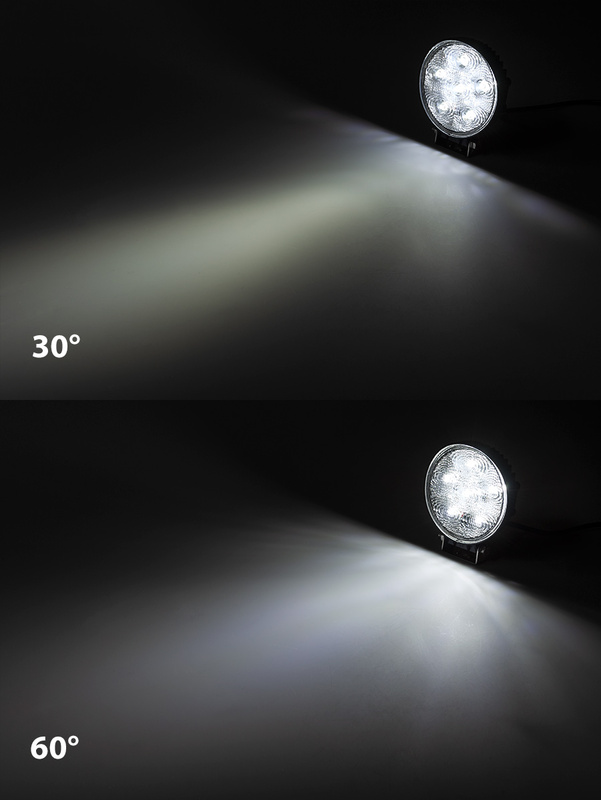 LED Work Light - 4.5" Round - 18W: On Showing 30° Beam (Top) and 60°Beam (Bottom). 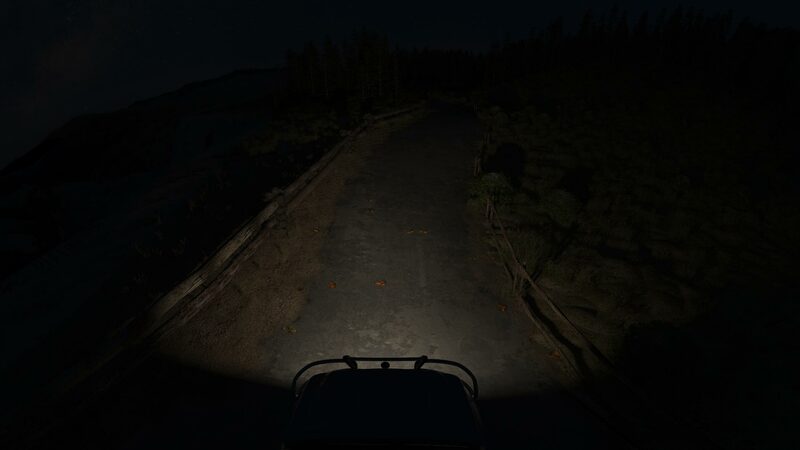 LED Work Light - 4.5" Round - 18W: 360° View. 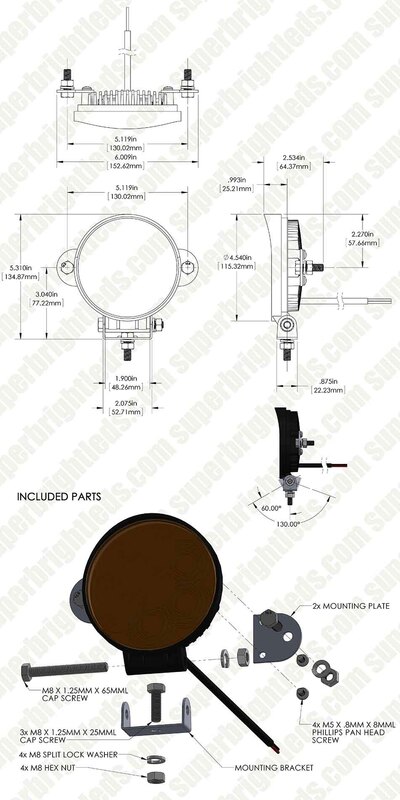 4.5" Round 18W Heavy Duty High Powered LED Work Light: Showing Beam Pattern In Flood And Spot Options. 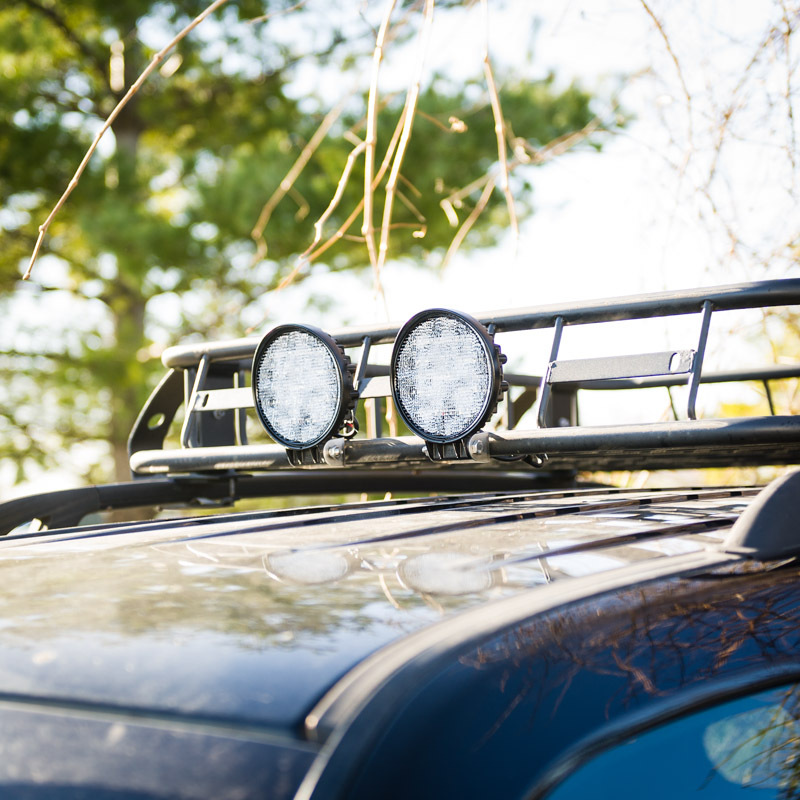 This off-road LED work light is great for driving lights, daytime running lights, or fog lights on your truck, ATV, or UTV and can also be used for industrial lighting, marine lighting, and tractor lighting. 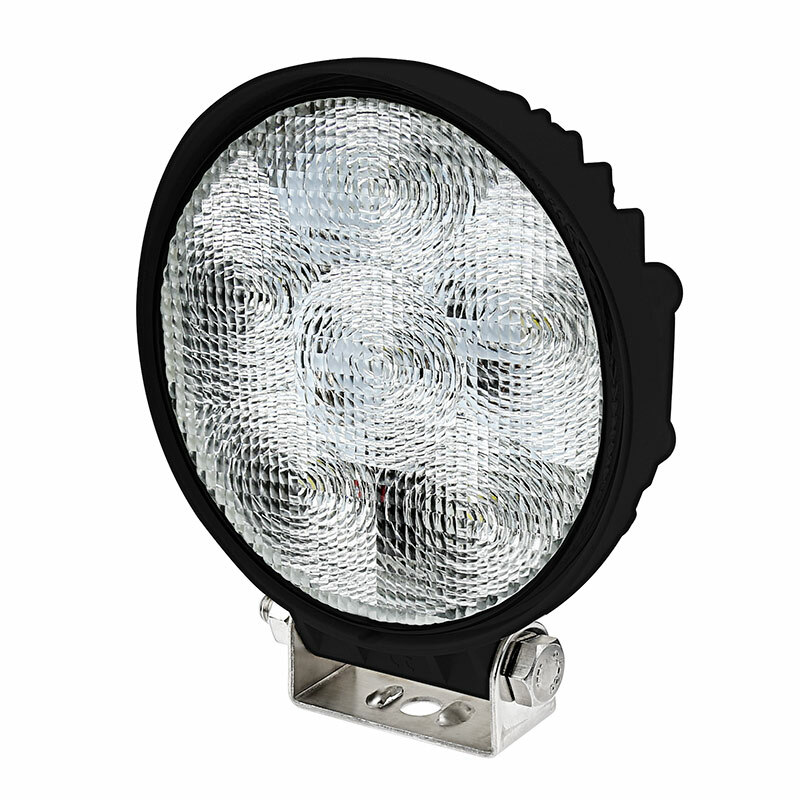 The 4-1/2" round work light emits 1,350 raw lumens of cool white light. 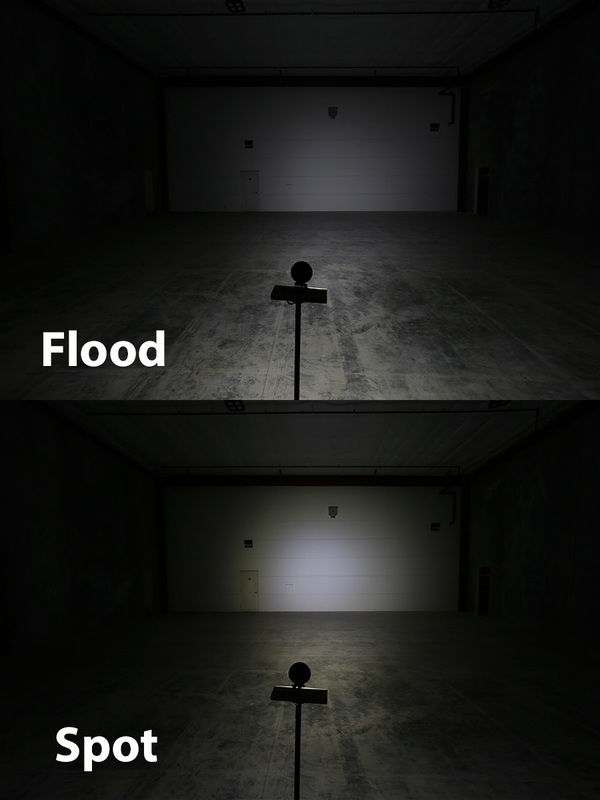 LEDs emit either a 30° or 60° beam pattern. 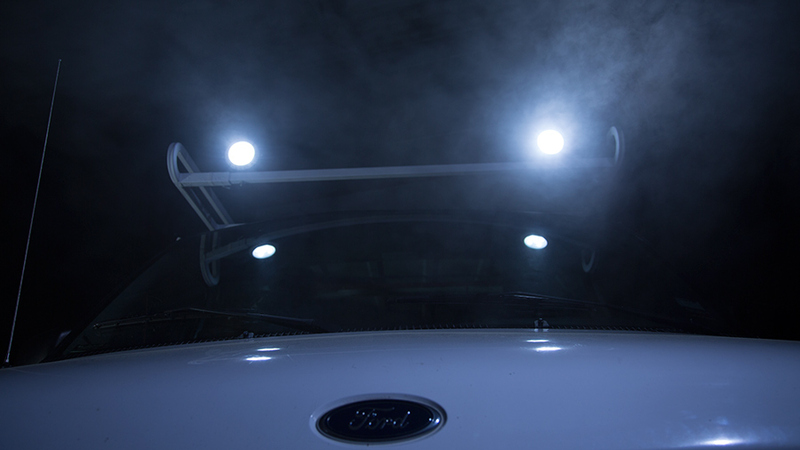 The durable LED driving light is waterproof and shock resistant. 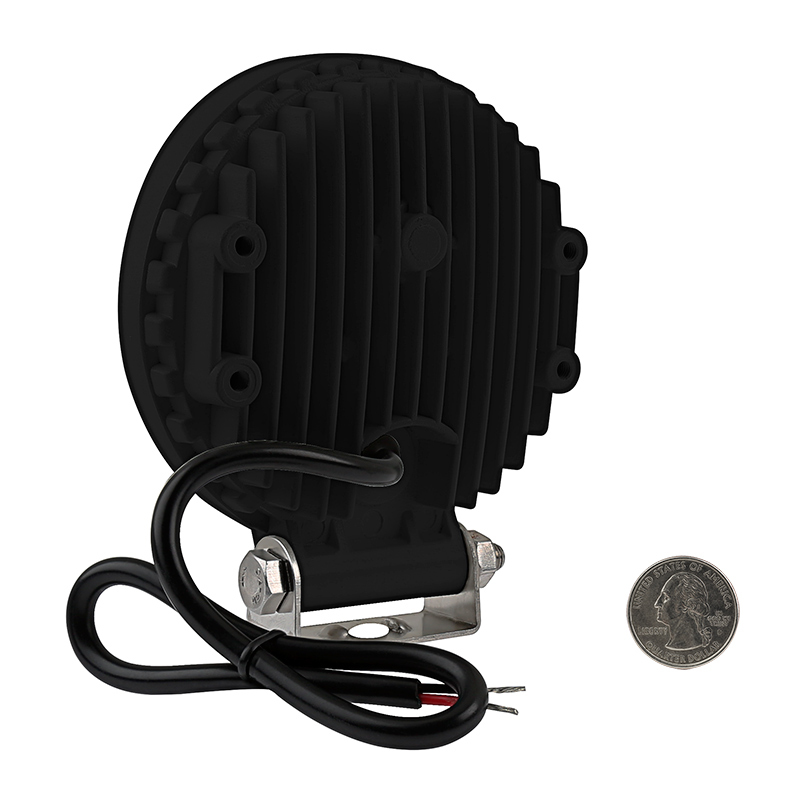 A black-painted aluminum housing and acrylic lens protect internal components, and an integral heat sink allows LEDs to run cool, which leads to an incredibly long life span. 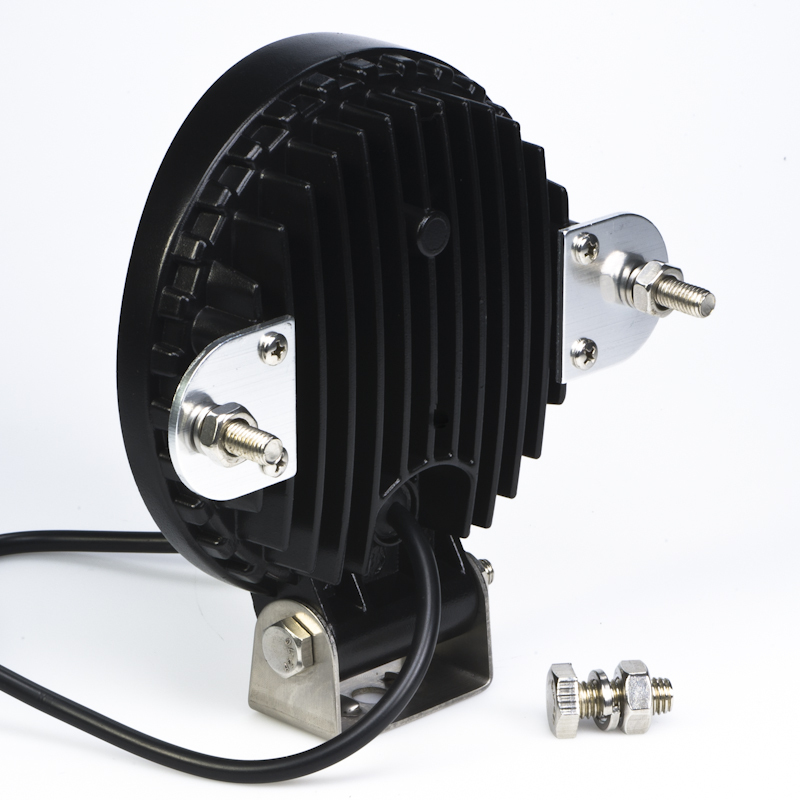 The 13-watt light has an adjustable stainless steel mounting bracket as well as optional side-mounting tabs and operates within a wide 12-24V DC range. Also available in white. 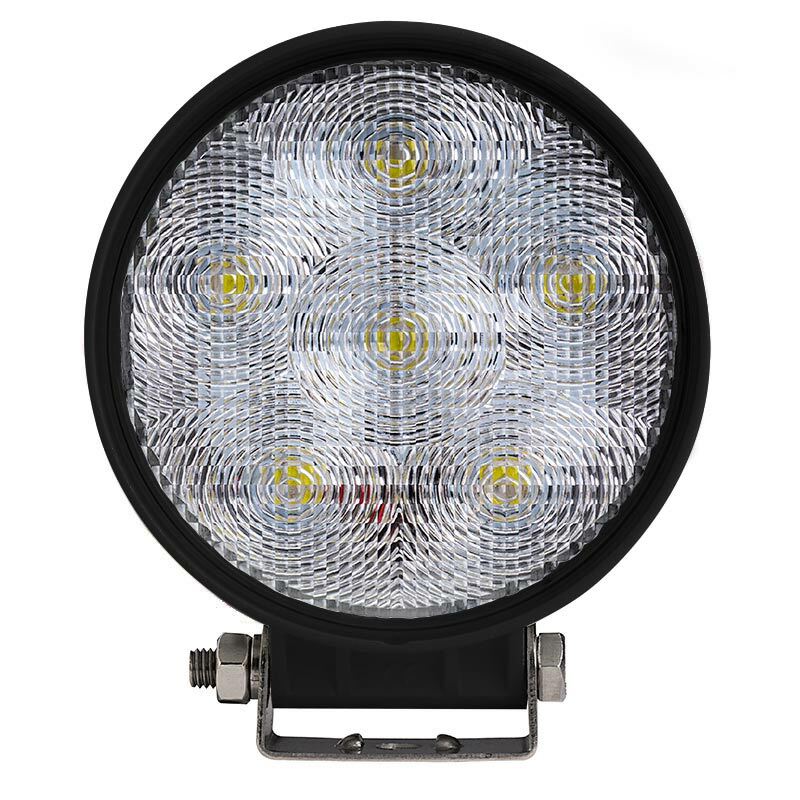 Lifetime warranty on all LED work lights. I first bought a set of these to replace old filament bulbs on a tractor. They produced a pure white light that now lights up the fields whenever working in them. Being satisfied, I bought another set to mount on my gator so I can now clear trees well into the night when the days becoming shorter. I love these things, the light it produces is pure and covers a large area. These lights are perfect for the purpose I'm using them for, Forklifts. Just replaced my incandescent light with this light. Turns the back of my 21 Parker SE into daytime. @ would have been overkill!! 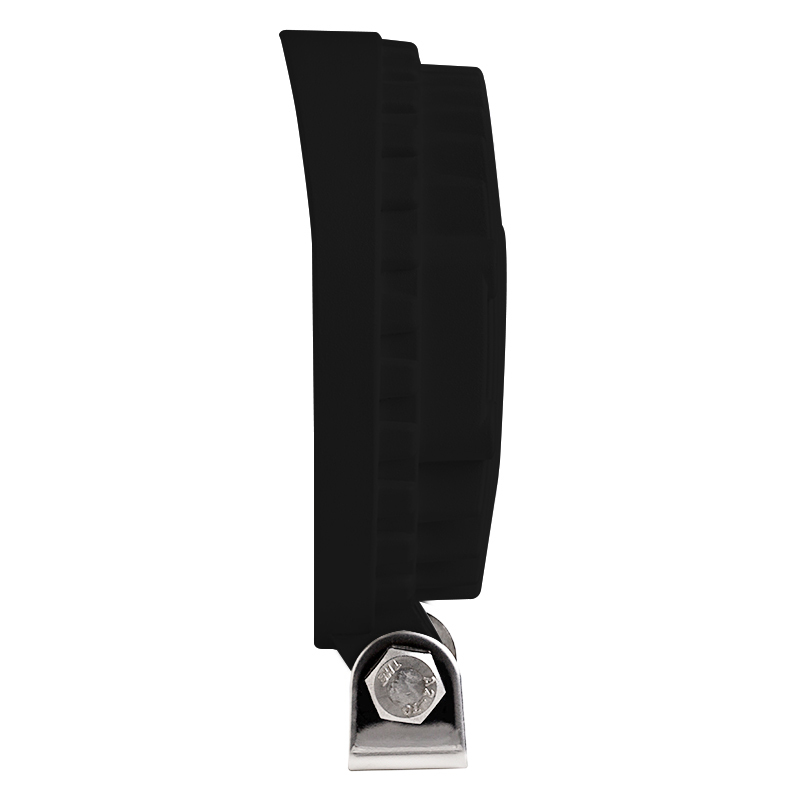 Purchased 2 of these along with several other SBL items. 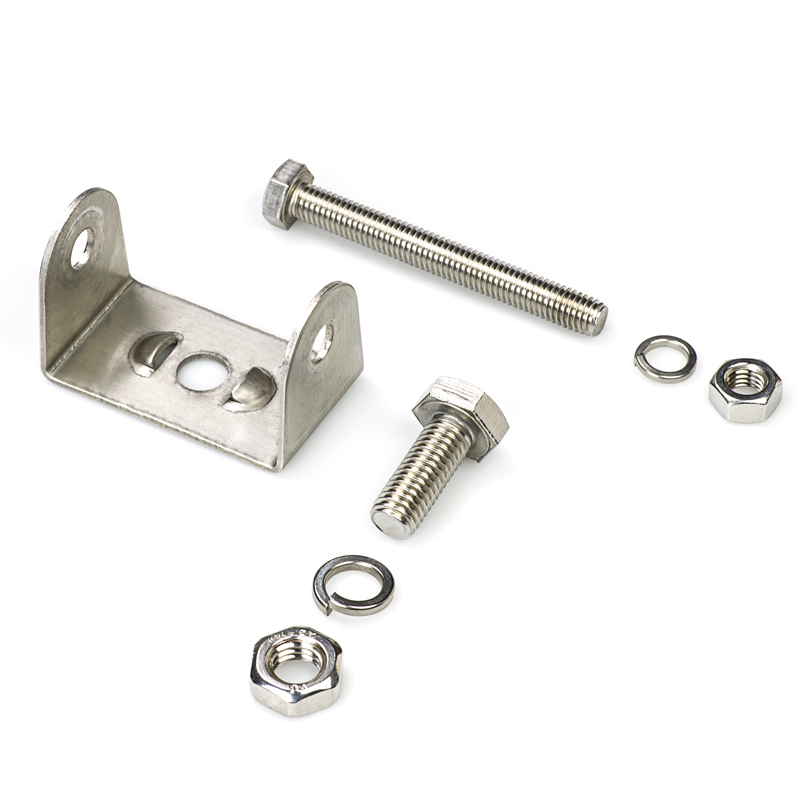 These are great for cargo/reverse lighting. Not sure I would use them for driving lights, but these would work well as fogs if mounted very low and aimed properly. The beam pattern is focused well. 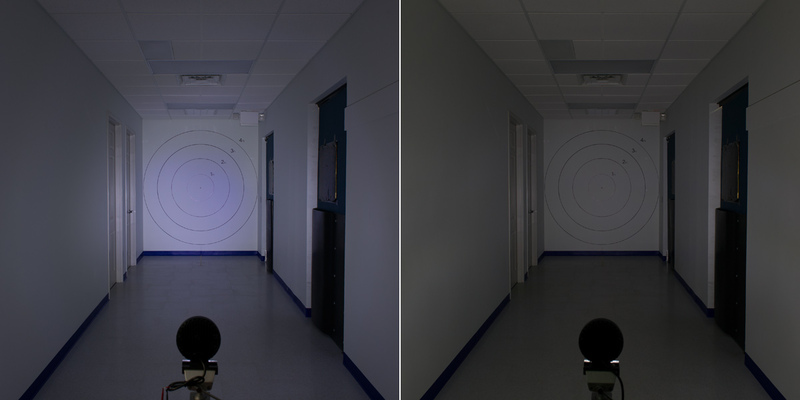 I compared one of these heads to the 2025 lumen 5.5 inch 60deg square head that SBL sells and you can hardly tell the difference in brightness on a wall 40ft away.